They say the number one killer of old people is retirement. People got a job to do, they tend to live a little bit longer so they can do it. I've always figured that warriors and their enemies share the same relationship. So, now that you're not gonna have to face your enemy no more on the battlefield, which "R" you filled with? Relief … or regret? 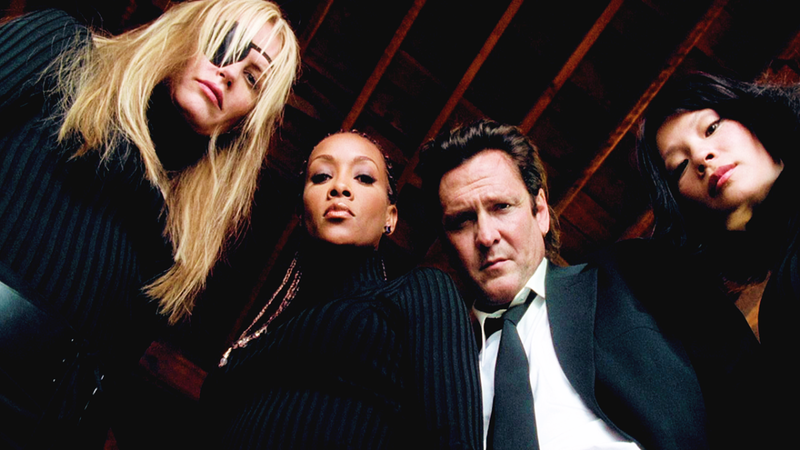 I love Quentin Tarantino's movies, especially the Kill Bill films. Tarantino's scripts always feature quirky, entertaining dialogue, interesting characters and just the right amount of retro-chic nods to the great films of the past. In the Kill Bill tandem, Tarantino pays homage to the great martial arts movies, and to a lesser degree the spaghetti westerns, of the 1970s. Budd's "relief or regret" line of questioning may have been directed at Elle Driver (aptly portrayed by Daryl Hannah) but a viewer might have asked Tarantino the same question after the movies were released. I'd bet he felt relief, since both movies turned out brilliantly, at least in this writer's opinion. I feel the same, admittedly milder, anxiety whenever I try a new expression from any of my favourite distilleries. I hope I'll enjoy the whisky, but a part of me always fears I'll feel regret at buying what my favourite whisky vlogger (that's Ralfy, in case you didn't know) calls "a bottle of disappointment". Luckily, I have enough friends that I get to sample many whiskies before deciding whether or not to splurge on a bottle. 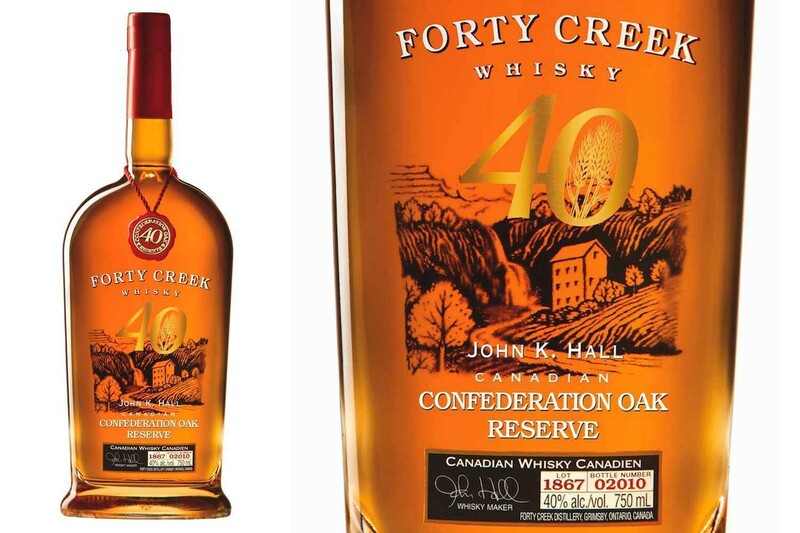 I've written about Forty Creek before, so there's no need to re-hash its history here. Their whisky is consistently excellent, and the Copper Pot Reserve is one I often use to introduce people to Canadian sipping whisky. Forty Creek's Confederation Oak is a bit of a different animal though. The whisky was finished in virgin Canadian Oak which was cut from trees growing about 64 kilometres (40 miles) from the distillery. According to founder John K. Hall, Canadian Oak is heavier and more dense than American Oak leading to more pronounced vanillins and wood tones. So does using Canadian Oak lead to relief (and enjoyment) or regret (and disappointment)? This sample is from the original Lot 1867, was opened in September 2015, was gassed after each use, and was 2/3 full when the sample was poured April 18 2018. Nose (undiluted): brown sugar, vanilla, plums, figs, oak spice (cloves, nutmeg, rye spice), some nuttiness, and maple developing with time. Very complex nose. With water, there’s a rush of vanilla on the nose followed by maple sugar and oak notes. On the palate there’s more fruitiness, oranges and apricots. The finish doesn’t change much with water, but the currant note is replaced by a slight bitterness at the tail end. This is definitely better without water. The nose of this whisky is absolutely phenomenal. The flavour and finish are very good, but the aromas are the stars of this show. I can't help but wonder how this would taste if it were bottled at a slightly higher proof. Even a 43% ABV bottling would, in my humble opinion, give this whisky a bit more bite to balance out its velvety sweetness. I think this whisky might earn a perfect score from me (whatever that's worth) if it were bottled at around 48% ABV. Nitpicking aside, I would not hesitate to purchase a bottle of this whisky. And I have no problem recommending it to anyone who enjoys rich, sweet Canadian whisky with a more prominent oak presence. 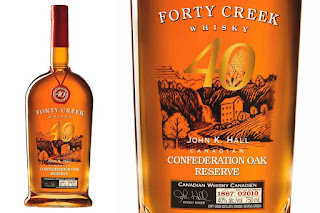 So, being an avid fan of Forty Creek, I can honestly say the "R" I feel after sipping this whisky is relief. I'm glad Confederation Oak did not let me down. Of course, I also feel some regret at only having enjoyed a single 30 ml sample. That may be something I address in the near future. Highly recommended.